As technology continues to change the way we interact, we can learn from digital social behavior how to design creative organizations. This is the foundation of the Stanford d.school fellowship program, which helps restless experts enable emergent ways of working, to accelerate systems-level impact in their areas of expertise. The nature of leadership is evolving from hierarchical models to emergent ones. In the former, leaders set a vision, assemble a team and direct it toward a predetermined outcome. Here, session attendees will learn to be emergent leaders, to bring together diverse experts and help them find the spaces between their expertise — where unimagined outcomes come to life. Jason Mayden is the founder of The Tribe, a mentor-led program that serves African American and Latino boys in urban communities. Previously, Jason worked for 13 years at Nike, where he was the senior global design director for Jordan Brand. Jason grew up on the South Side of Chicago in the 1990s. Since 4th grade, he dreamed of designing Air Jordan basketball shoes, and eventually became the first design intern at Jordan Brand. As the senior design innovation lead for Jordan, Jason created strategic footwear platforms for athletes including Chris Paul, Derek Jeter, Carmelo Anthony and, of course, MJ. During this time, Jason designed the 2009 Air Jordans. After earning a Master's degree in management as a Sloan Fellow at Stanford, he returned to Nike as its global director of innovation for digital sport, the team that designed the FuelBand. He then served as the senior global design director for Jordan Brand for two years, before returning to Stanford as a d.school fellow. Justin Ferrell joined the Institute of Design at Stanford University — aka “the d.school” — to launch and direct its fellowship program, a project-based accelerator for restless experts who want to transform their industries. The program helps entrepreneurial professionals learn and apply design thinking to organization design, to create and spread behavior-driven systemic change. Justin is also leading the d.school’s three-year media experiments project, a portfolio of experiential prototypes at the intersection of digital media and community action. A career journalist specializing in design and organizational behavior, Justin worked for seven years at The Washington Post, most recently as the director of digital, mobile & new product design. A prolific visual storyteller, Justin designed the investigative series “Angler: The Cheney Vice Presidency,” winner of the 2008 Pulitzer Prize for National Reporting, as well as four other Pulitzer finalists. 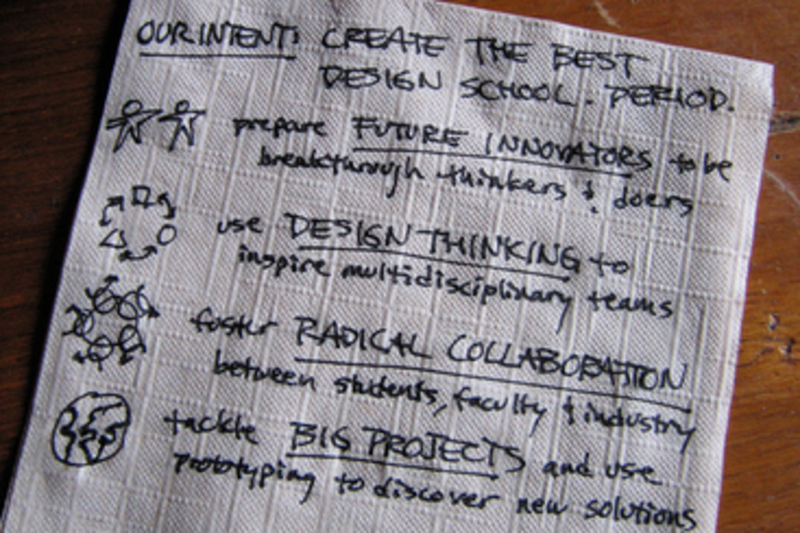 Justin teaches Stanford graduate courses in design thinking, creativity and organization design. He also teaches executives at the Stanford Graduate School of Business, and has taught in executive programs for Aalto University in Finland, EGADE Business School in Mexico and Massey University in New Zealand. He has spoken on creative culture and organizational change in many venues, from the SXSW Interactive festival in Austin; to the Norwegian Research Council in Oslo; to the U.S. Embassy in Dublin; to Education City in Doha, Qatar; and his consulting clients have included the media company Fusion, Hewlett-Packard, IDEO and Citi Ventures. Justin has led many workshops for clients as well, including sessions for Dow Jones, Facebook, Google, Infosys, Knight Foundation, SAP, Telenor, The Aspen Institute, The New York Times, The United Nations, the U.S. Department of State, Univision and the World Economic Forum.